MOSCOW (Sputnik) - UK ambassador to Russia Laurie Bristow on Thursday expressed his condolences over a deadly incident in the Russian city of Magnitogorsk, which left at least 38 people killed. "Deeply saddened by the tragedy in Magnitogorsk. My thoughts are with the families and friends of those who have lost their lives and my sincere condolences to all those affected," Bristow said in a statement published on the UK Embassy's Twitter account. Similarly, Iraqi Ambassador to Russia Haidar Mansour Hadi offered his heartfelt condolences on Twitter to the families of the victims of "Magnitogorsk’s horrific accident that caused the death of innocent people." The Syrian Ministry of Foreign Affairs and Expatriates has also offered condolences. "The Syrian Arab Republic expresses warm sympathy with the friendly Russian leadership, government and people over this tragic incident, and it extends heartfelt condolences to families of the victims, wishing a speedy recovery for the injured," ministry's spokesperson told the Syrian Arab News Agency. The condolences have also been expressed by German Foreign Minister Heiko Maas. "My thoughts are with the people, who lost their relatives. We wish soon recovery to those injured," Maas wrote on the Twitter page of the German Foreign Ministry. 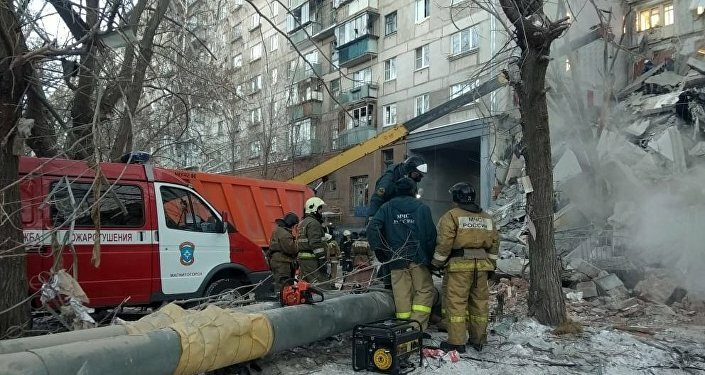 A 10-storey apartment block collapsed in Magnitogorsk on New Year's Eve, supposedly due to a gas explosion, causing multiple casualties and destroying scores of apartments. 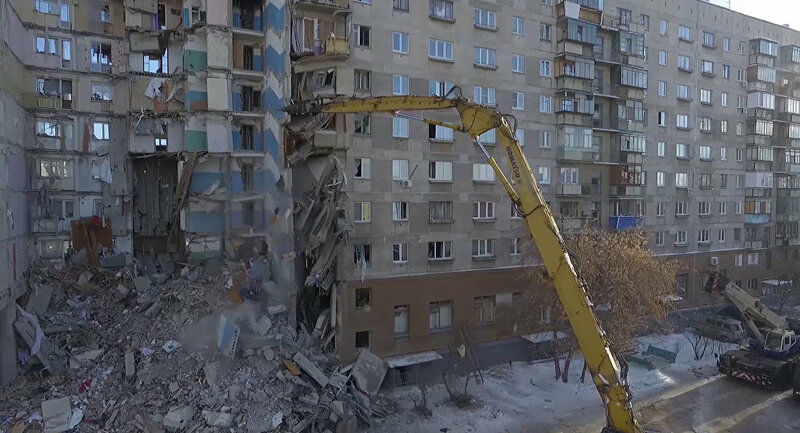 According to the latest estimates, the building collapse in Magnitogorsk has claimed at least 38 lives, while search and rescue operations continue.